1. The opportunity to do what they do best – 60% of job seekers said being able to do what they do best was very important for them in their new role. They want a strong match between their skills and the requirements of the role. 2. Better work-life balance and personal well-being – 53% of job seekers said that a good work-life balance and a better well-being are very important to them. Work is important, but having an employer that understands work-life balance is important too. 3. Job stability and security – 51% of both millennials and Gen Xers are looking for stability and security in their roles. This would most certainly hold true for other job seekers regardless of tenure. Job seekers want to work for companies that they believe in, develop their skills and careers, and grow with the company. 4. 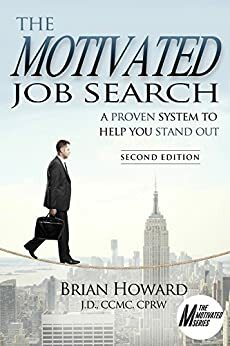 Opportunity to work for a company with a brand or reputation – Working for a company with brand recognition and a good reputation are factors when job seekers look for a new job. Job seekers want to be proud of the companies that they work for. They want to work for companies that are aligned with their values. 5. Money – 41% of job seekers said that more money was important when they were considering a new opportunity. Although compensation was not the only driving motivation, it is important. As their skills and contribution grow, job seekers expect their salaries to grow too. As an employer, understanding these motivations could help position your company and job opportunity to attract and retain new employees. Click here to read the Gallup Research article.